A stunning womens court shoe with a clean, stylish and fresh look. 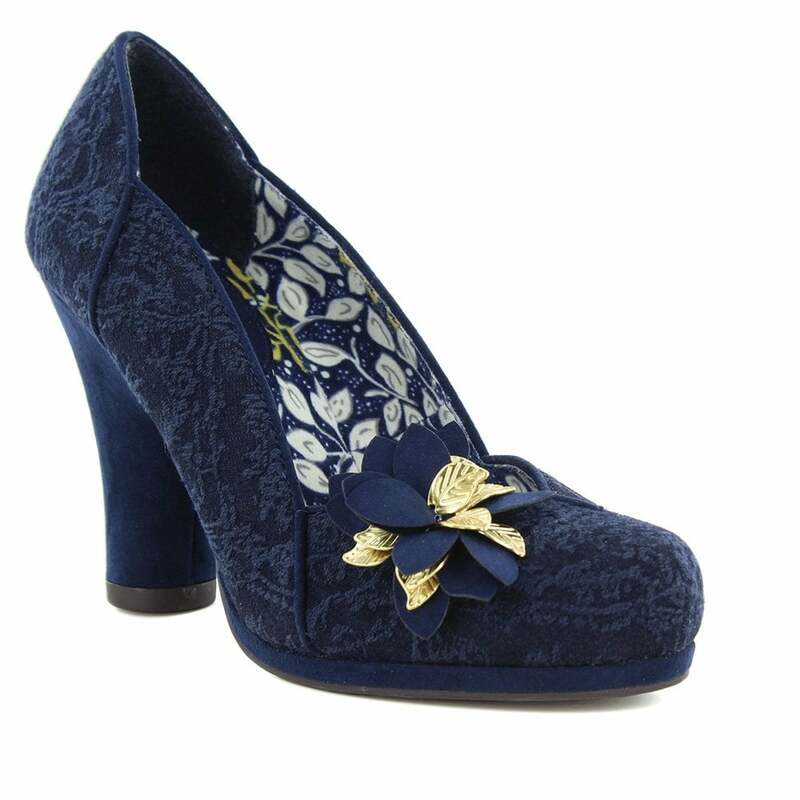 The Charlie from Ruby Shoo has tone-on-tone navy brocade uppers, paired with a white, yellow and navy leaf print lining. These womens Ruby Shoo Charlie court shoes really catch the eye! A small stitched pad with the Ruby Shoo branding is embroidered on the in-sole in navy with gold lettering. A shapely 9cm high heel covered in matching material completes this fabulous court shoe perfectly. Look fantastic at night time and in the office with this stunning and versatile womens court shoe - choose the Ruby Shoo Charlie today!